"He's Back!" 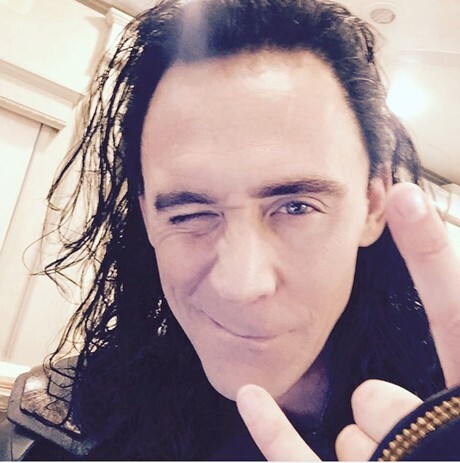 Hiddleston shares a low key picture from the set of Thor: Ragnarok! Ahoy, squirts! Quint here. Marvel almost done fucked up. They very nearly killed off Loki in Thor 2 (for real). It was a real discussion that wasn't settled until they were actually shooting. I heard this from Hiddleston directly after our nice chat on the set of Crimson Peak. I had heard the original intention was to kill Loki, but then have Thor have to pull him out of Hades in Thor 3. He didn't comment on that part of it, but did say that it was decided almost on the day to not kill Loki in the movie. Thor 2 is a bit of a mess, but one of the things the movie gets right is the relationship between Thor and his brother. I love where Loki ends up in that film and the emotional moment we get with him on the throne. The only commentary he provided with it was "He's Back!" With Thor 3 being something of a road picture with Hulk and Thor and Loki's in the mix somewhere and all of it is being overseen by Taika Waititi, this sequel has surprisingly become one of my most anticipated Marvel flicks.